Delos Van Earl Studios - "One foot squares"
Here is Delos in front of a wall of one foot squares. He did a lot of one foot squares and many of them were done in multiple installations such as this one, although this one is particularly spectacular. Other installations are in private residences, hotels and banks. 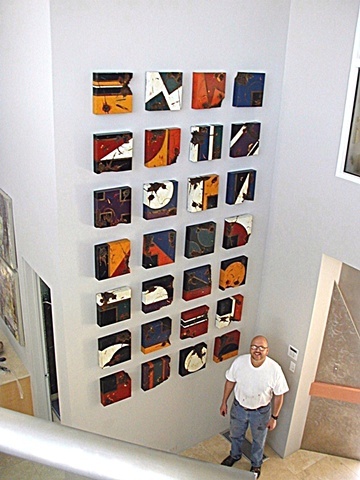 This installation of one foot squares is in a private residence in Las Vegas, Nevada.